There are several types or variations of exchanges. The most common type of exchange is the delayed or forward exchange. 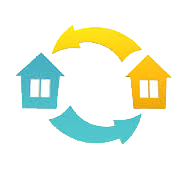 In a forward exchange, a taxpayer sells the property currently owned (relinquished property) and acquires new property (replacement property). However, it may be necessary to acquire replacement property before the currently owned (relinquished property) can be sold. An exchange structured to allow this is known as a reverse exchange. A property owner may also desire to construct improvements on property to be acquired in an exchange. An exchange structured to allow this is called a “construction exchange“. A simultaneous exchange anticipates an actual simultaneous exchange of property between parties.